Dubai-UAE: 11 January, 2011 – Policy makers, financial regulators and central bankers need to establish an internationally agreed framework of rules governing the financial system and the exchange rate mechanism in order to help governments bring a semblance of sanity to the global economic landscape, according to Dr. David A. 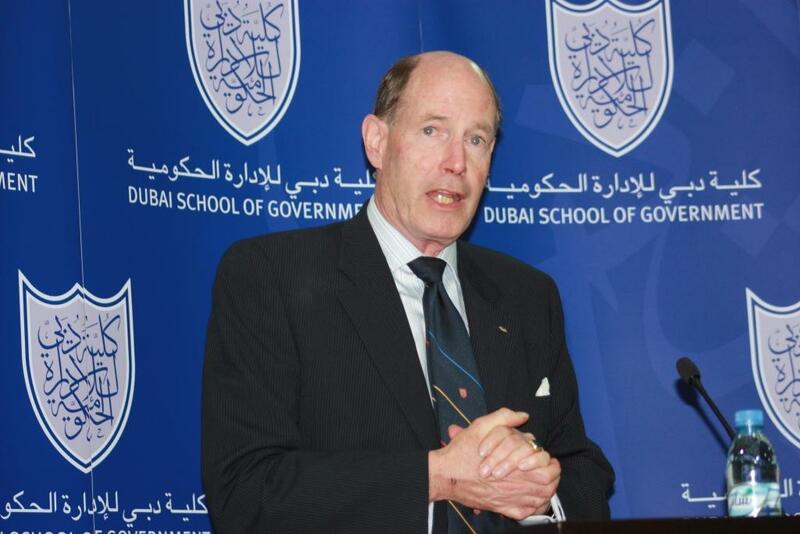 Dodge, former Bank of Canada Governor, member of the International Advisory Council for the UAE Central Bank and senior advisor at the Canadian law firm Bennett Jones. Dr. Dodge’s comments came as part of the lecture held on 10 January by the Dubai School of Government, a research and teaching institution that focuses on public policy in the Arab world. Titled ‘Building an International Financial System for the 21st Century’, the talk outlined the inadequacy of current international financial arrangements and highlighted the salient components that should comprise a revamped system. According to Dr. Dodge, while international financial and monetary arrangements have been extensively debated, for many developed and emerging economies the global financial crisis has shown an intimate link between internal and international financial stability. The focus right now is on balancing the global economy, which according to common perception would be difficult to accomplish under the current circumstances. While driving the need for a revamped financial system and a unified framework, Dr. Dodge described the stumbling blocks that are likely to make the process of agreeing on a new financial structure difficult. Reemphasizing the need for economic consistency, Dr. Dodge said that any future financial architecture will have to embrace all aspects of monetary interrelationships among different nations. Established in 2005 in cooperation with the Harvard Kennedy School, the Dubai School of Government is dedicated to the promotion of good governance through enhancement of the region’s capacity for public policy. The School collaborates with regional and global institutions in delivering its research and training programmes, and organises policy forums and international conferences to promote critical debate on public policy in the Arab world. For more details, visit www.dsg.ae or call +9714 329 3290. Established in 2005 in cooperation with the Harvard Kennedy School, the Dubai School of Government is committed to the creation of knowledge and the dissemination of global best practices in the Arab world. The institution conducts various programmes that seek to enhance the region’s capacity for effective public policies. Bennett Jones LLP (www.bennettjones.com) is a leading business law firm founded and focused on the principles of professional excellence, integrity, respect and independent thought. Our firm's leadership position is reflected in the law we practise, the groundbreaking work we do, the client relationships we have and the quality of our people.